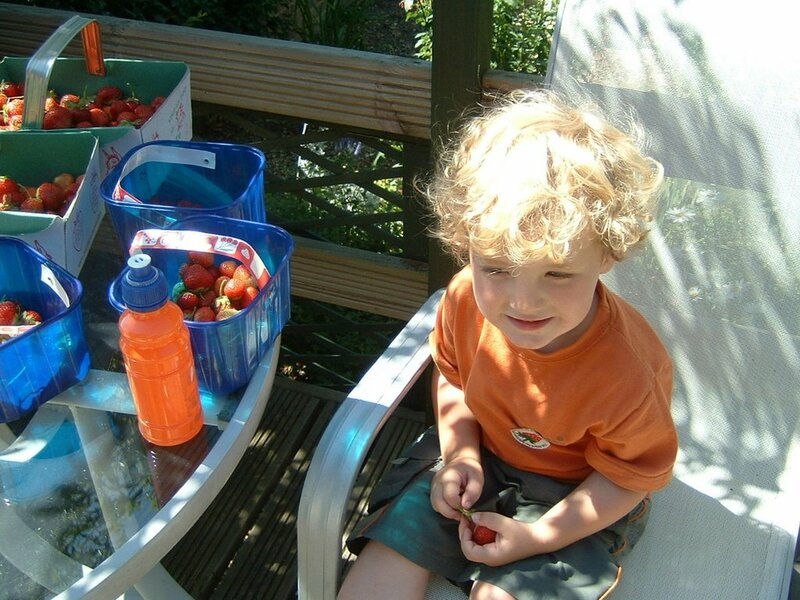 Last week the children went fruit picking with Nanna and Grandpa, and picked a lot of strawberries, and some raspberries and blackberries too. they had a fantastic time, and had been looking forward to it for ages. look, I make that 3 large punnets and 3 baskets of fruit!! Grandpa took these pics and just sent them to me. 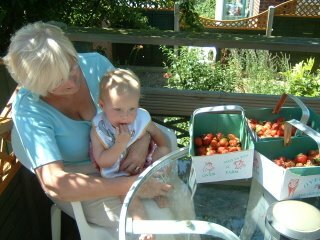 there are some great ones on Nannas mobile phone too, of Esme in the act of picking, and of eating, but they may never make it here, as we are all technophobes who cant move pics from phones to computers. Thankyou Nanna and Grandpa for a lovely day! I've always wanted to go strawberry picking - they look amazing. Blackberries already!! They are my most favourite fruit!!! Thank you for stopping by my blog. Your children are beautiful, and I love the bags that you made! Thanks for coming to visit. You have a lovely blog and ofcourse, beautiful children. I can't wait for summertime and all the beautiful fruits, we are just starting to get a little tired of the winter citrus fruits here.